Are your job ads breaching the Human Rights Act? Choose your wording carefully when drafting your next job advertisement or you could potentially be in breach of the Human Rights Act. Could you be unwittingly breaching the Human Rights Act with your recruitment campaigns? 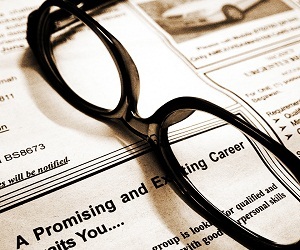 Terms which are commonly used in job advertisements could be culpable for such breaches, including “young”, “recent graduate” and “new graduate”. Although not all of these terms explicitly refer to young people, as statistically candidates fresh from university are likely to be aged 24 or younger. Countless advertisements online specify that available jobs are for “recent graduates” with some even reserving their vacancies for “young” individuals. Jackie Blue, Equal Employment Opportunities Commissioner, told The New Zealand Herald that advertising for a “young” candidate could be proven as discrimination under the Human Rights Act. Earlier this year an Auckland bar and Indian restaurant came under fire for advertising jobs for "girls only". The Ponsonby bar Chapel Bar & Bistro had posted an online ad saying: "We need female bar & floor staff at Chapel ... drop us an email if you or a friend needs a job”. Indian restaurant Masala in Stanmore Bay also had an advertisement in their window saying: “We are looking for part time front staff (girls only)”. Both denied they were being discriminatory, however the Human Rights Commission told the New Zealand Herald at the time both Masala and Chapel could be in breach of the Human Rights Act. Last year, the commission had 1488 inquiries and complaints about unlawful discrimination.